Next weekend, the Preservation Society of Charleston is offering a new walking tour, and if you're a fan of Charleston's artists as well as its stunning architecture, you surely don't want to miss the Doin the Charleston Renaissance tour. 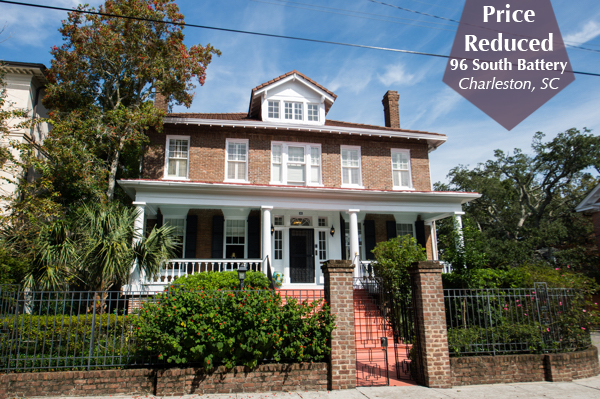 As their website states: "A cultural phoenix rising from the ashes of the Civil War and Reconstruction, the Charleston Renaissance roared into the 1920s as artists, writers, musicians, poets, and preservationists revitalized the city's social, cultural, and artistic identity." Exactly! Wonder who will be featured on the tour with so many great artists to choose from? 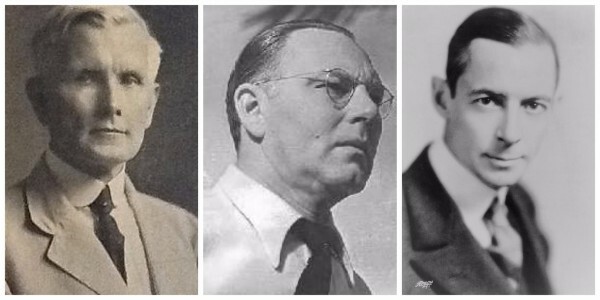 Well, in a fit of excitement, we just had to review a tiny snippet of this incredible story: the three men behind the literary renaissance movement, which rested on the founding of The Poetry Society of South Carolina. We know you've heard of at least one, if not all three...have a peak! 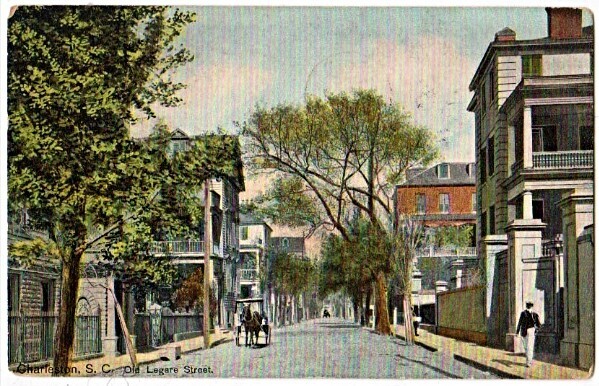 According to Charleston scholar and artist Marjorie Peale, the first phase of the literary renaissance in Charleston was an increased interest in poetry. Six local authors were best known during that period: John Bennett, Hervey Allen, DuBose Heyward, Beatrice Ravenel, Josephine Pinckney, and Herbert Ravenel Sass, and all but the latter contributed to the body of poetic work that emerged early in the period (Sass confined himself to prose). Their work was bolstered by the Poetry Society of South Carolina, the first of its kind in the country, and the basis on which similar groups were subsequently formed. 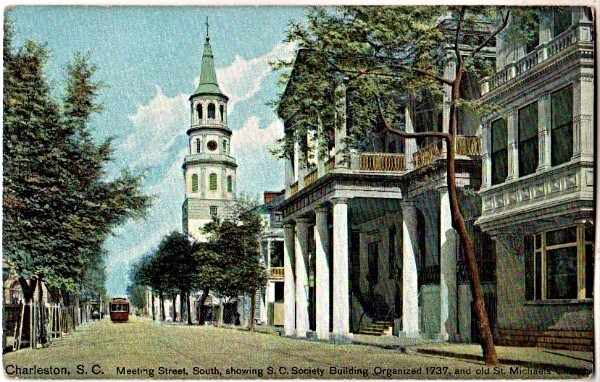 While many of its members (including its founders) went on to gain literary success in prose rather than poetry, the importance of the Poetry Society as a "springboard from which the Charleston group jumped" is not disputed. And according to Charleston historian Harlan Green, Charleston's current appreciation for and support of the arts can be attributed, at least in part, "to that evening 'full of thunder' at 37 Legare Street in the fall of 1920 when, in an inspired moment, DuBose Heyward turned to John Bennett and Hervey Allen and blurted out, 'Let's start a poetry society here.'" John Bennett already had some measure of literary success when the Ohio-born author and silhouette artist moved to Charleston in 1898, a year after his children's classic, Master Skylark, was published. 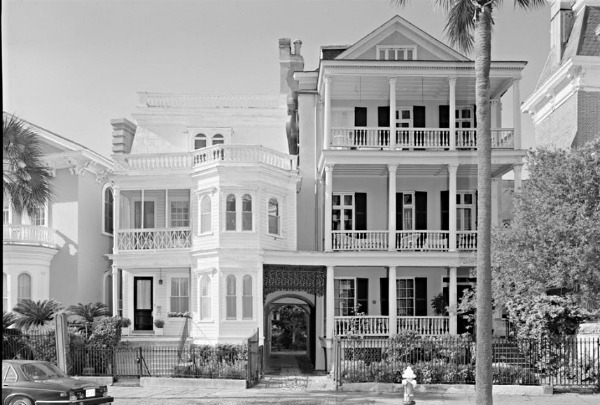 He settled in to the rhythm of Charleston life, married the youngest daughter of one of Charleston's oldest and most prominent families (Susan Smythe, related to our own Ruthie Smythe and Eleanor Smythe by marriage), and made a home for his family at 37 Legare Street. Bennett's fascination with the Gullah culture led to his study of its dialect, musical traditions, folk medicine, and superstitions. His diligence was demonstrated in the 1906 Lowcountry buried-treasure romantic tale, Treasure of Peyre Gaillard, but his fascination with African American culture soon found him in hot water. 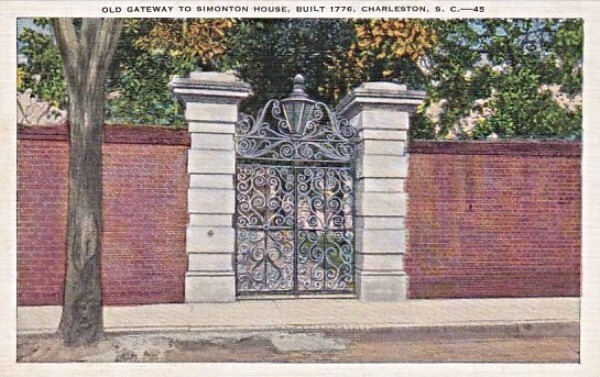 In 1908, Bennett gave a reading to the Federation of Women's Clubs that included a retelling of the legend of Madam Margot, based on an old Charleston story that Bennett had uncovered. It was based not only on illicit love, but love across the racial barrier, and his use of the word "chemise" evidently dropped some of the ladies right onto the floor. Eventually, everyone got over it and he later published this dark tale and others in his Bat Series. John Bennett really was the instigator and tireless caretaker of the literary movement in Charleston; he spent endless Wednesday evenings mentoring Hervey Allen and DuBose Heyward in his cluttered third-floor study (dubbed the Astrologer's Tower by Allen and Heyward) and sacrificed much of his own career to keep the Poetry Society going even as the others bailed out. And everyone who attended story time at the public library as a child has Mr. Bennett to thank for that program. Everybody say, "Thank-you-Mis-ter-Ben-nett!" Although he was to become one of the most well-known authors to come out of the Charleston movement, Hervey Allen wasn't from here. When he drifted into town from Pittsburgh in 1919 after being injured in the war, he inquired who the writers were in Charleston. He was directed repeatedly to John Bennett. A tall young affable fellow, he immediately won the affection of Bennett, who introduced him to DuBose Heyward. The three were tight as ticks. Allen took an apartment near Bennett and taught English at the Porter Military Academy and then the High School of Charleston, where his students were enamored of this "Cowboy" and his influence on them was profound. The first fruit of the new literary movement was borne in 1922 with the volume of poems written by Allen and Heyward, Carolina Chansons, dedicated most suitably to John Bennett. According to Marjorie Peale, "Through an exhaustive use of local color the reader was to be made aware of the heroic history, legend, and landscape of the Carolina Lowcountry. Carolina Chansons was recognized as a singular achievement--a successful attempt to present something fresh and different, imbued with the spirit of the new movement." Allen only stuck around Charleston for about five years, but because of his work with the Poetry Society and his volume of poetry about the Lowcountry, he is considered one of the highly influential writers of Charleston's literary movement. His most famous novel, Anthony Adverse, was made into a motion picture starring Olivia de Havilland; the film received four Academy Awards in 1936. Hervey Allen, we'll be thinking of you on Sunday! On South Battery, half of #24 (left) got lopped off to allow the construction of #22. DuBose Heyward lived at 24 S. Battery in the 1930s. The third of our trio, DuBose Heyward, was the only Charleston native. Born into the aristocratic class of whom he wrote, his father died when Heyward was a young boy, requiring him to work to help support his family. He had a newspaper route at age nine and quit high school at age 14 to work in a hardware store. Always frail, he succumbed to illness and it was during his convalescence that his education began. He garnered a different kind of knowledge not common to those of the aristocratic class when he recovered and secured employment on the cotton docks among the black residents of Charleston. After the publication of Carolina Chansons, he spread interest in the literary renaissance movement of Charleston and put the city on the map of places of interest, worthy of a visit. In 1924, Heyward began a story rooted in a sympathetic understanding of the black workers on the waterfront--a different approach to the usual sentimental or comic treatment of African Americans in literature. Well, you know what happens. Following the advice of John Bennett, "Just be genuine, not too exaggerated; sympathetic, poignant, without false sentimentality; have a heart, and a good spirit," he created the characters in his novel Porgy. Again, thank you, Mr. Bennett! Like most Charleston natives, Heyward moved around a little bit downtown: as a boy, his lived in his widowed mother's rented apartment at 85-87 Broad Street--that gorgeous 3 1/2 story double tenement of Charleston grey brick next to the post office on Broad. Then, of course, there's the residence now known as the DuBose Heyward House at 76 Church Street, where he lived for a while in the 1920s and observed the comings and goings of the crowded black housing units at 89-91 Church that served as inspiration for Catfish Row in Porgy. But probably our favorite residence of Heyward (and his wife Dorothy in the 1930s) is the one at 24 South Battery. This circa 1790 dwelling is the western half of a double tenement left standing after part of it was demolished to build the Nathaniel Russel Middleton House at 24 South Battery. Okay, for the purposes of this survey, Heyward's South Battery home wins the Most Unusual House Award. Congrats, DuBose! Y'all, Lois has this great home for sale right down the street at 96 South Battery and the price has just been reduced! Are you like DuBose Heyward (and most of us are, let's face it) and like to move around the corner from time to time? Well, you'd better get on this one. Watch the video here and then give Lois a call at 843-270-2797 to schedule a showing. You know you want to!